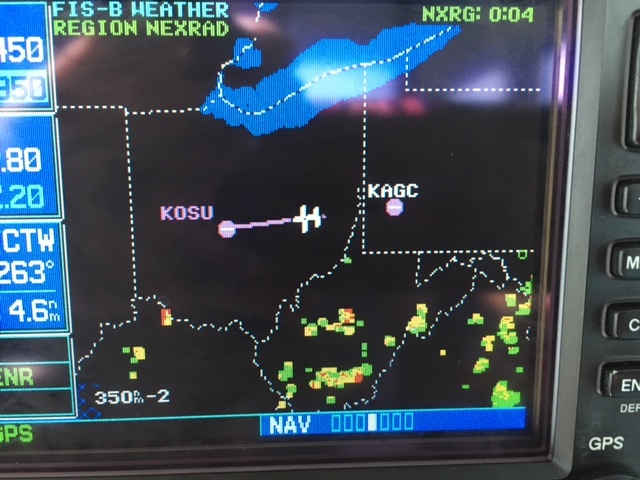 On Wednesday, I returned early to Columbus (KOSU) from the Philadelphia area (KOQN). 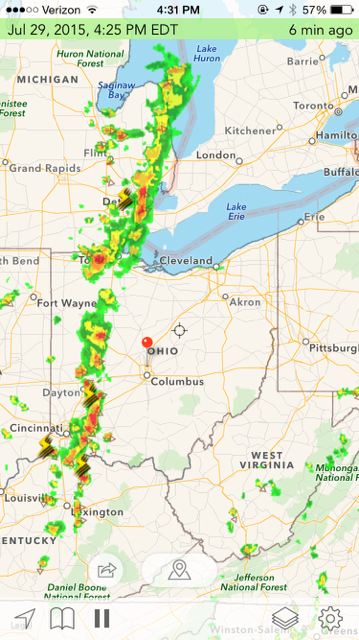 At 6:05 am, I couldn’t help but notice the line of storms on the IL/IN state line. Knowing that IN is 140 miles wide and OH is about 240 miles wide, it was easy to calculate that at an average cold front speed of 20 to 25 knots, I might run into a problem if I delayed my departure to an afternoon time. Further, the dew points from KOQN to KOSU were in the high 60s to 70s. Lots of moisture, combined with lift, and atmospheric instability, can spell convective activity. 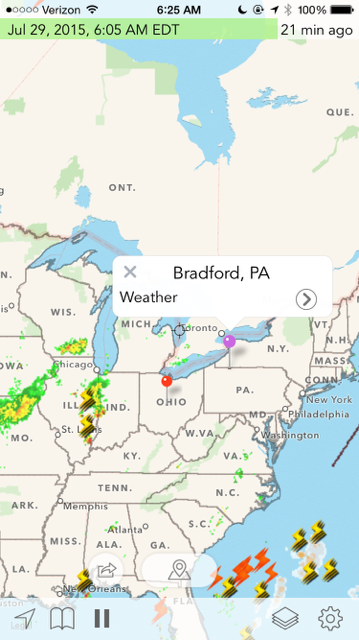 The 4:25pm radar photo confirms the earlier hypothesis. 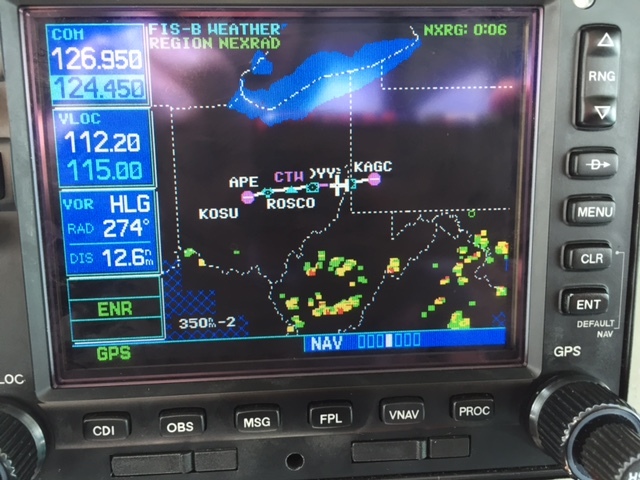 The other two photos show (a) things were popping en route to my south, and (b) the benefits of ADS-B on-board weather.